A fantastic whodunit set on the titular island. This series starts as quite a light, almost predictable entertainment, but later on shifts to a much darker animal. 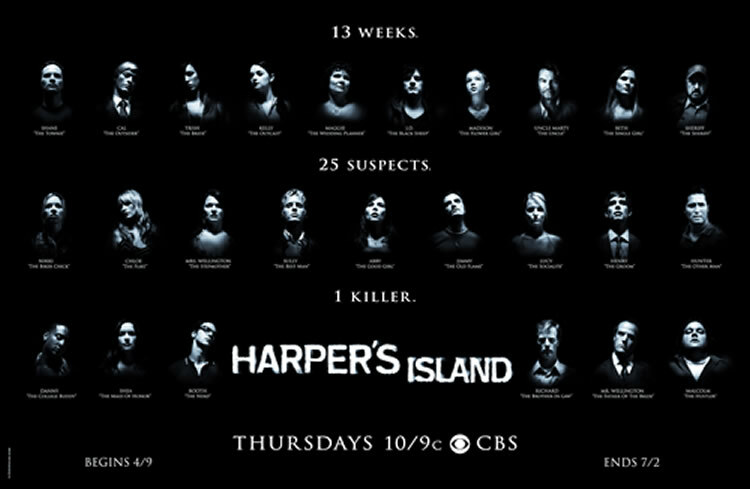 The show manages to pull off a movie feel and although the main conceit is quite gimmicky (essentially the story is just finding out who the killer is over 13 weeks; each episode name is onomatopoeic of the method of death of the character) it manages to establish itself as a very made and very dark thriller. Give me this over Heroes or Lost any day. Robert Schwentke (Flightplan) manages to create a solid romantic drama that convinces as a standalone movie, but doesn’t quite cut it as an adaptation of Audrey Niffenegger’s novel. Whilst its shortcomings are staples of adaptations – omits too much of the nuances, doesn’t manage to recreate the tone – the chemistry between Erica Bana and Rachel McAdams still allows this film to illuminate at times. This rom-com stars Gerard Butler. I am out. That is all. An inventive, unsettling British thriller with a fantastic turn by Peter Ferdinando. This has already been compared to Taxi Driver in some circles and whilst I definitely wouldn’t go that far, I advise people to check this out. A ’70’s exploitation style film that, from the trailer, appears to have no redeeming features other than a comedy title and one of the most batshit mental trailers since Robogeisha (Check out both these trailers).